I love the new In the City stamp set – all the cute little buildings, trees, vehicles and other images help you create all kinds of cityscapes for birthdays, weddings, births, new homes and more! 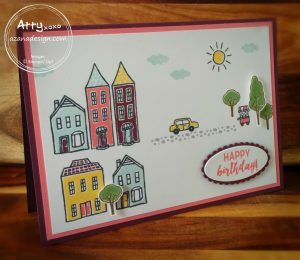 I used this set recently to create a card to congratulate a friend on the purchase of a new home, and a birthday card for my team swap for July. On the Congratulations card, cased from Amy Koenders, I used the clear Wink of Stella to cover one of the houses to make it sparkle and popped it up on a dimensional so it sits in front of a tall tree. 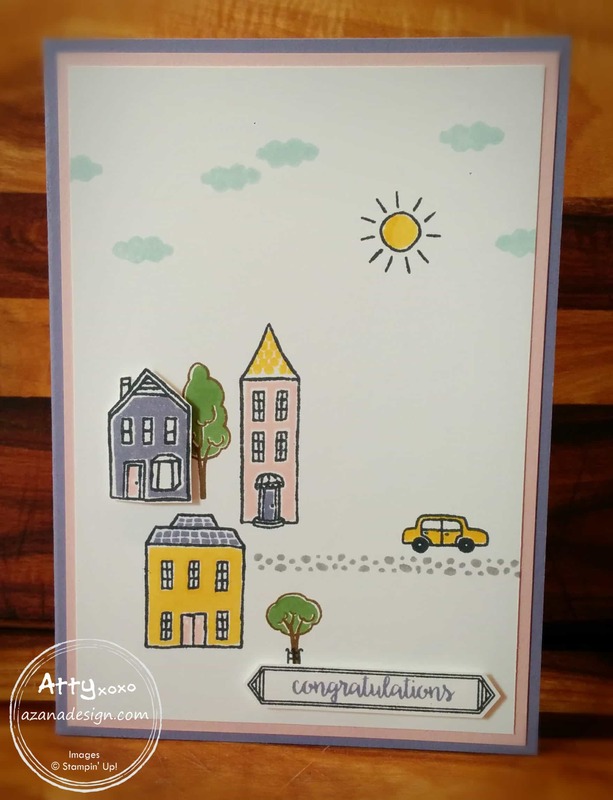 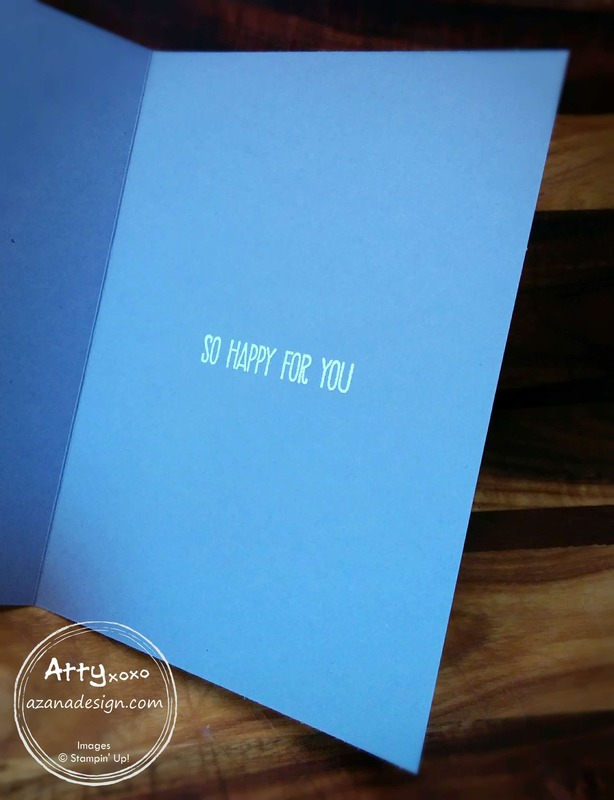 The Congratulations banner is from the Happy Birthday Gorgeous stamp set which coordinates with the Classic Label Punch and on the inside of this card I stamped So happy for you using VersaMark and white embossing powder. 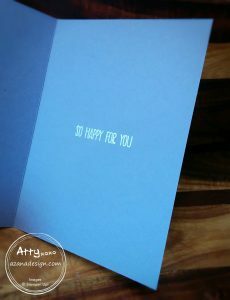 This sentiment is from the Sunshine Sayings stamp set. 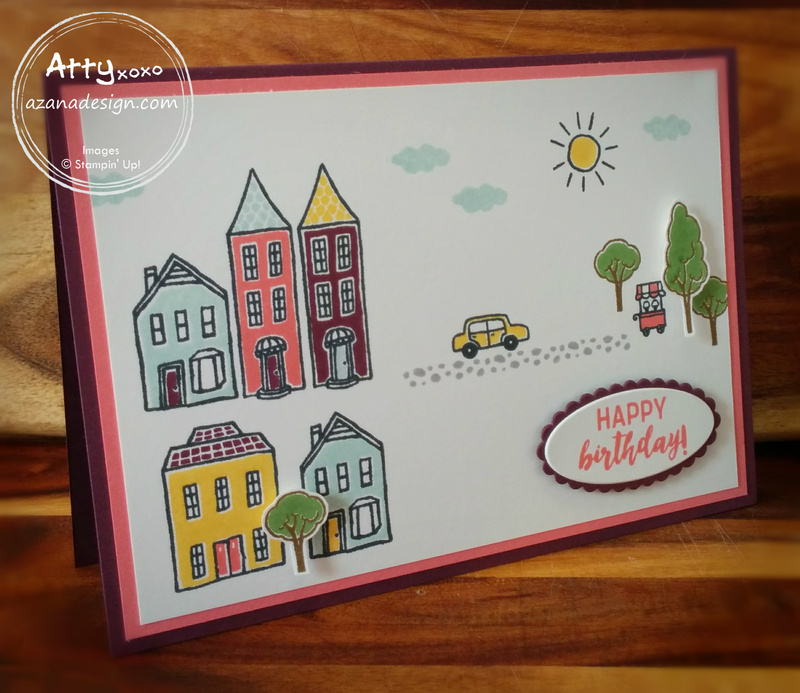 For my July swap card I made a birthday card – I used a landscape orientation to build on the scene from above… my inspiration for this card was leaving the suburbs behind, jumping in the car and heading to the park for an ice cream – perfect for any birthday celebration! 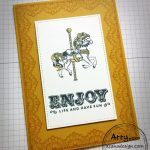 This card was a lot of fun to make and it uses a lot of different stamps from the set – 23 out of the 60! 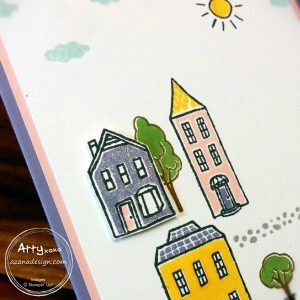 The stamp set is photopolymer so it makes stamping very easy, especially the stamps to “colour in” the houses, trees, etc. 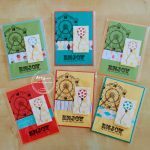 I popped up two of the trees on Stampin’ Up!’s new mini dimensionals – these tiny little dimensionals are only 6.4 mm in diameter, perfect for little elements and you get 720 in a pack! In the City is a host stamp set, so you can only buy this set using Stampin’ Rewards. 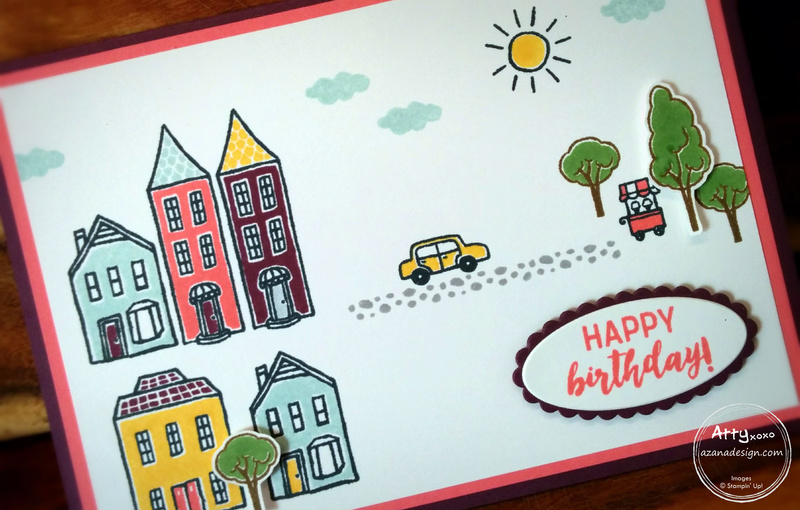 You can earn Stampin’ Rewards by gathering your friends and hosting a party. 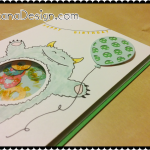 If you’d like to get your friends together for some crafting fun, get in touch with me today.